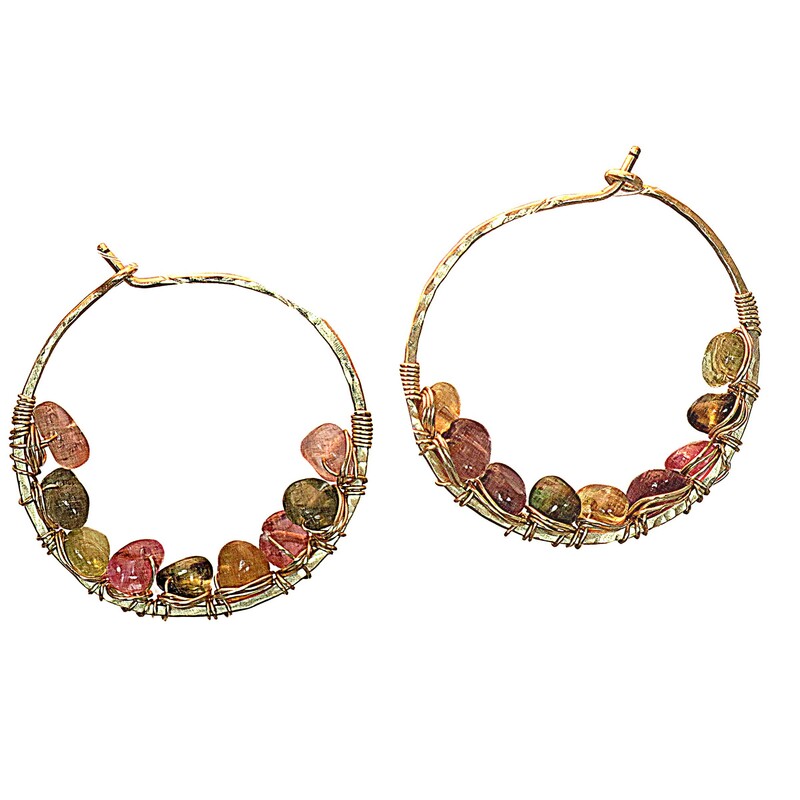 Hammered hoops wrapped with tourmaline, about 1-1/4". Available in either 14K gold-filled, rose gold-filled, or sterling silver. All jewelry is entirely handmade in our studio in New York. 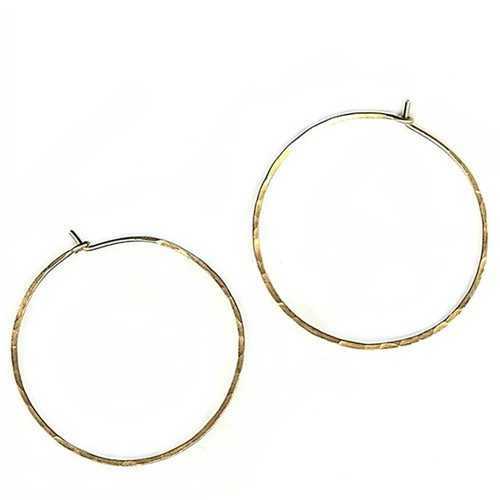 Small hammered hoops, 1" diameter.Additional stone sets may be purchased to place on earrings.Available in either 14K gold-filled, rose gold-filled, or sterling silver. All jewelry is entirely handmade in our studio in New York.